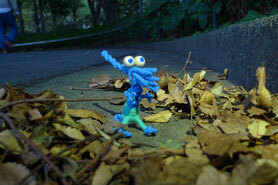 This is broomsurs (created by Playfultail) who likes sweeping fallen leaves. Playfultail was introduced, This is one of creative toys. 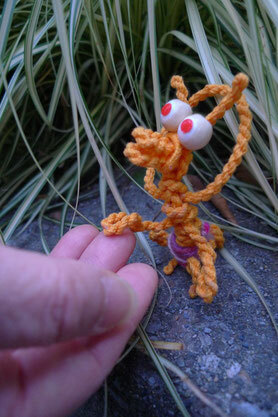 You can make many things by stretching and twisting it. And, Playfultail is thought as a tail you lost when you was born. "I'm a character created from a rope. We are called as tsukumogami because we were born from tools human had used. tukumogami usually has a scary look and a face. But, we are pretty, aren't we? We are new special type of tukumogami." 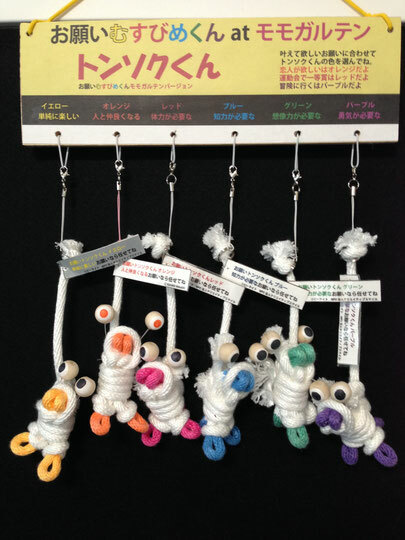 Musubimekun is a doll made of a rope with eyes of styrofoam. 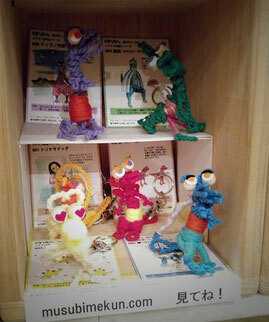 We Musubimekun can change ourselves into many different things by just knitting. we don't have any wire in our body. The Concept of Musubimekun Project. Tools are things existing between human and nature because tools are created from nature by human. 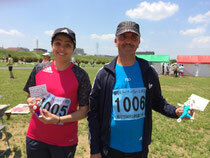 And, they should be the keys to regain a good relation between nature and human. Nowadays tools human uses are not so happy because human doesn't love them so much any more. If tools could speak, do you want to hear what they would say? Musubimekun Guruguru can give other Musubimekuns an ability to speak to human. Why don't you join this activity: Make Musubimkekun and Say Something to Human!! 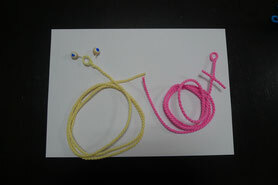 I will send you Musubimekun ropes if you want to perform Musubimekun project in your country. ●Musubimekun Message Larry is being held now at Miyoshidori shopping mall near Yutenji station in Meguroku. 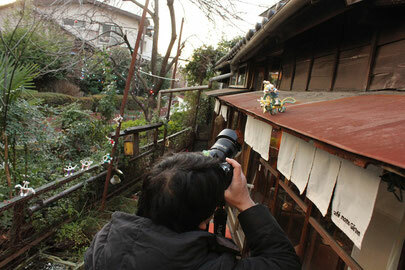 If you collect some messages of each shop, then you can get Musubimekun mug cup or a pin badge.